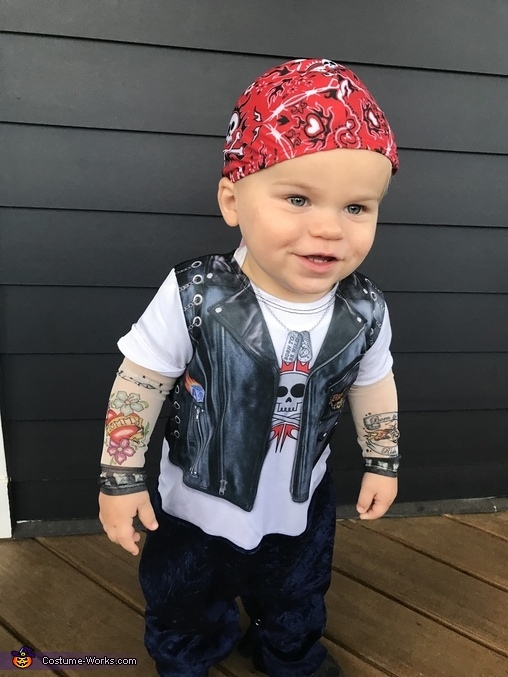 My adorable nephew, Jax is wearing this “Bad to the Bone” costume. Suits his personality so well, as he is always getting into “mischief”! Jax is named after Jax teller in sons of anarchy! This costume not only fits his name but personality perfect!